A quick recipe for a tender cake bursting with bright citrus flavor. 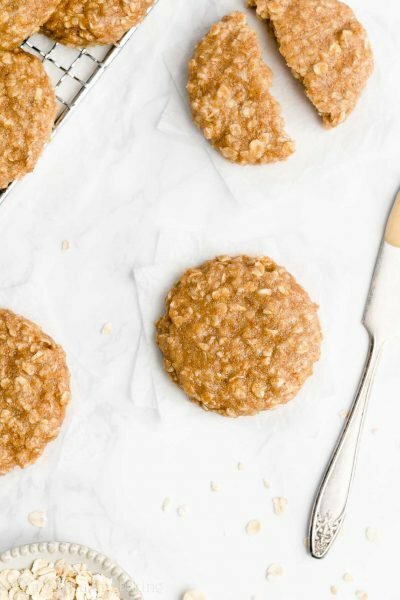 It’s so easy to make and perfect for company—and it’s even healthy enough for breakfast, too! On New Year’s Eve in 2014, my family and I bought tickets to see an afternoon showing of Cirque du Soleil in San Francisco. Since they perform in a humongous tent and the city’s weather tends towards chilly and overcast throughout the entire year, we bundled up in our warmest jackets and gloves before driving to the performance. When we pulled into the parking lot, the sun shone down without a cloud in the sky (truly a rare occasion! ), so we wandered around the grassy baseball-themed park next to the pier before lining up behind the rest of the ticket holders. Once inside the tent, we found our seats on the left side of the stage and sank into them, staring at the ropes and wires and pillars in the center of the arena. A few performers in their brightly colored, funny-looking costumes walked around the stage, checking equipment and moving props, before the lights fully dimmed and the musical narration began. For nearly an hour, we gasped, clapped, and cheered as the troupe members performed their acts. Some bounced and somersaulted on a gigantic trampoline suspended 15 feet in the air, others treated bicycles hanging from the ceiling as a trapeze and twirled about, and a few contorted their bodies into gymnastic feats that none of us believed was humanly possible. And then there was an entire second half after the intermission! Although experiencing Cirque du Soleil was an incredibly fun way to celebrate, we’re planning on a more low-key New Year’s Eve this year, spend with family and friends watching the festivities and ball drop in New York’s Times Square on TV. 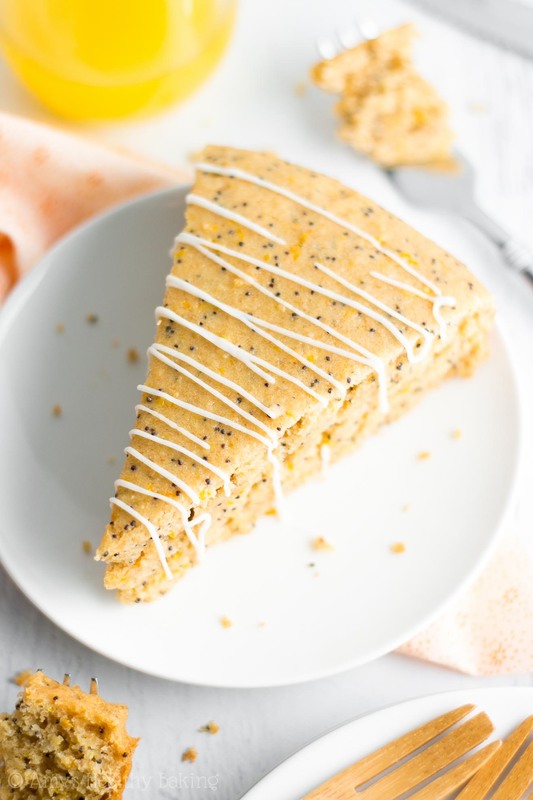 And because it’s me, you can basically guarantee that I’ll bake plenty of desserts for us to enjoy that evening, including this Simple Orange Poppy Seed Cake! 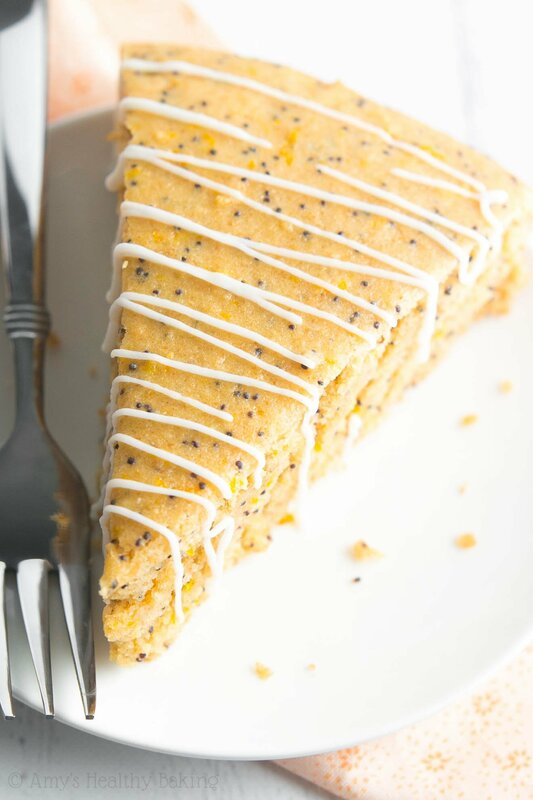 This easy cake is bursting with bright citrus flavor, but it isn’t overly sugary. 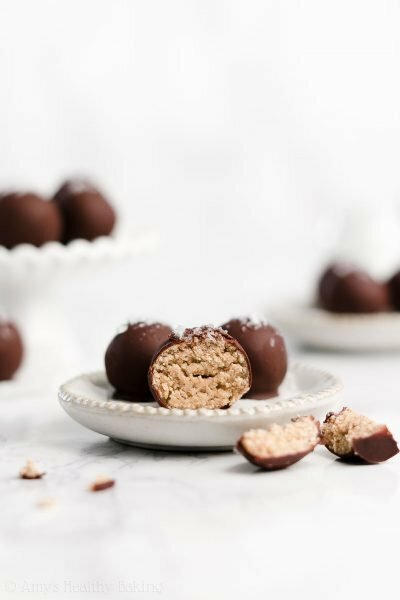 Its sweetness level is closer to that of a snack or breakfast cake—so yes, you could easily sneak a slice in the morning on New Year’s Day without feeling an ounce of guilt! The recipe begins with whole wheat pastry flour. 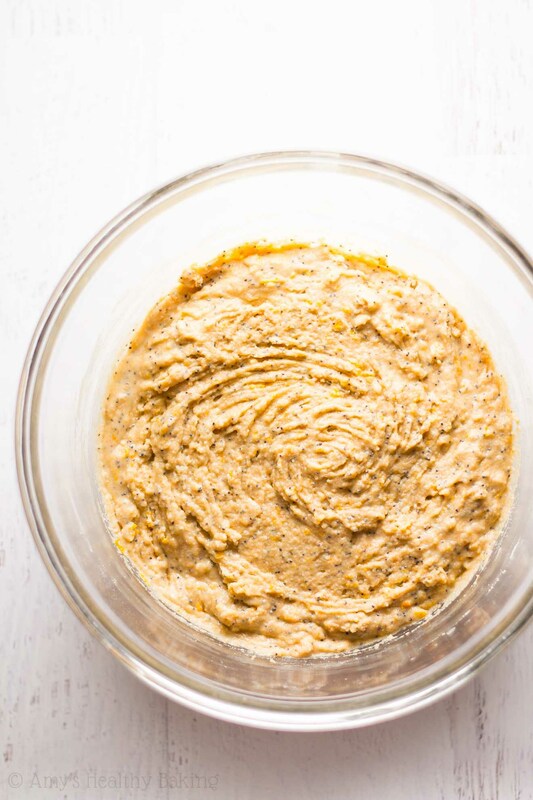 Whole wheat pastry flour is ground more finely that regular whole wheat flour and has a texture closer to that of all-purpose, so it’s perfect for creating the tender texture of cakes and pastries. 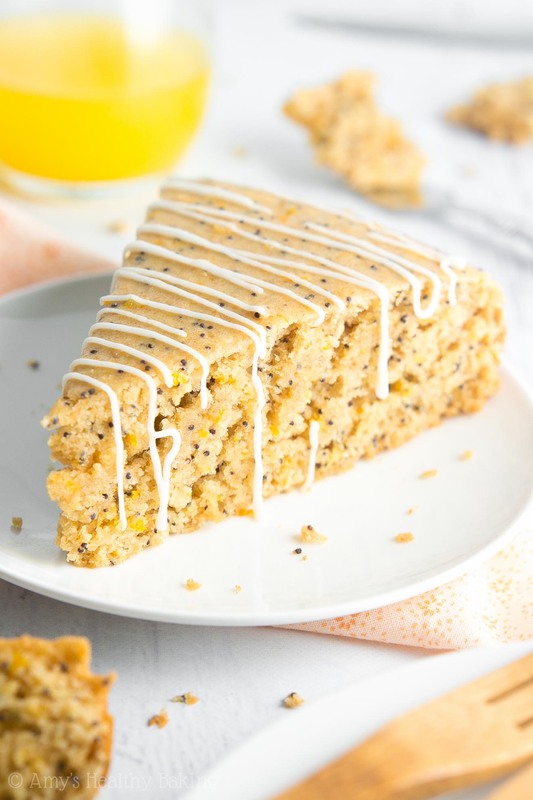 It’s also lighter in taste compared to regular whole wheat flour, and with so much sunshiny orange flavor, you can’t tell this cake is 100% whole wheat! Note: My recommend gluten-free flour blend is included in the Notes section beneath the recipe, if you prefer that! 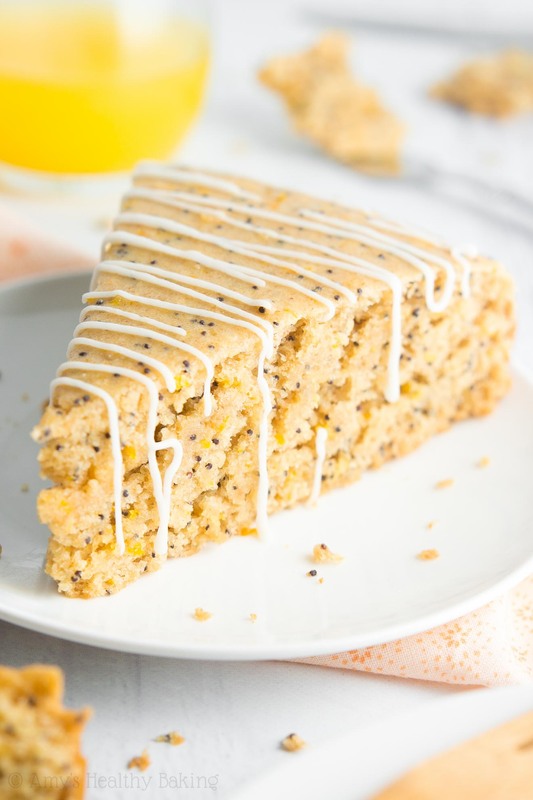 Because this healthier cake only contains 1 tablespoon of butter and no egg yolks, the majority of its tender texture comes from my favorite ingredient in healthier baking… Greek yogurt! Greek yogurt provides the same moisture to the cake batter as extra butter or oil but for a fraction of the calories, and it adds a little protein boost as well. 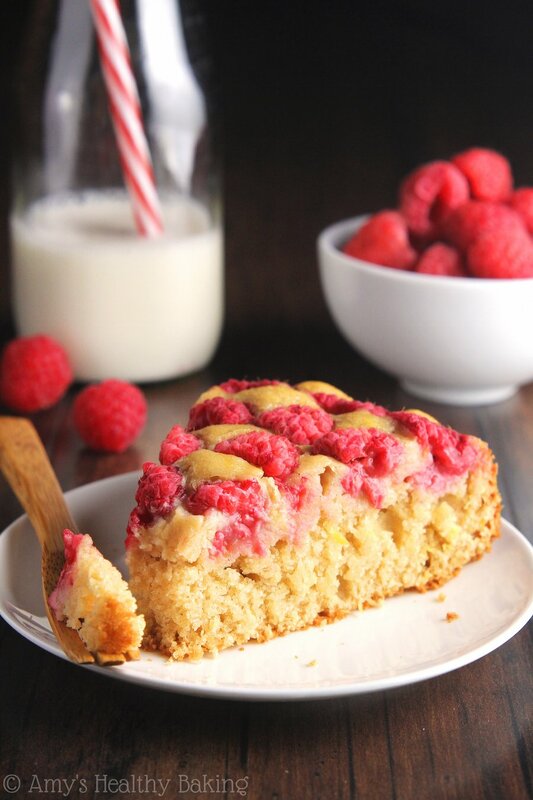 Instead of refined sugar, you’ll sweeten this cake with honey to keep it clean eating friendly. Agave would be a great substitute, but I recommend staying away from maple syrup. Maple syrup has a stronger, fairly iconic taste that would detract from the orange flavor, and that bright citrus taste should be the star of the show! 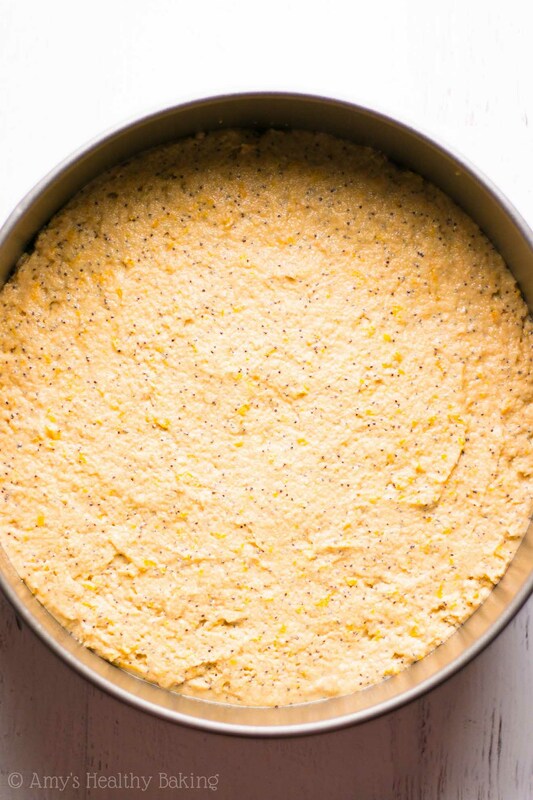 To add as much sunshiny flavor as possible, you’ll use both orange juice and orange zest in the batter. The latter actually provides a more concentrated citrus taste, so don’t skip it! I bought the biggest orange I could find it the store (I could barely hold it in one hand!) just for that reason. And finally, the poppy seeds. They aren’t just for lemon muffins! 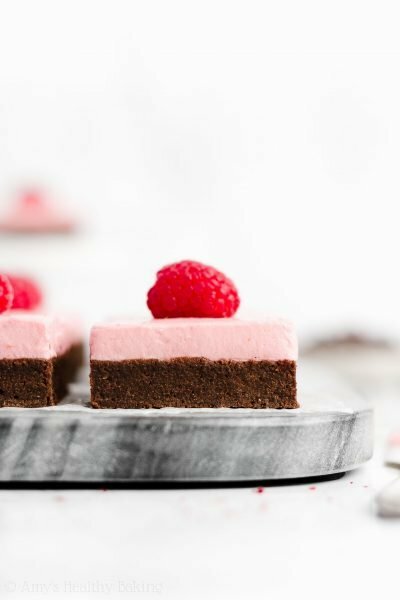 In addition to making the cake look pretty, they add an itty bitty textural contrast that makes this dessert so irresistible. 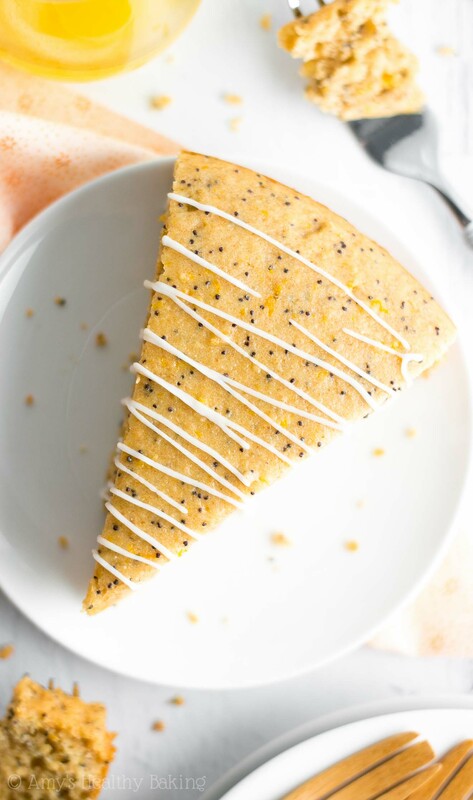 However, do not try to substitute chia seeds because those are much more absorbent than poppy seeds and would dry out the cake. To bake the cake, I highly recommend a springform pan. They’re most commonly used for baking cheesecakes because of their removable rim, and that same feature makes serving this cake much easier! If you only own regular cake pans, then line one with foil before misting the inside with cooking spray for easier removal of the cake after baking. Best decision ever. 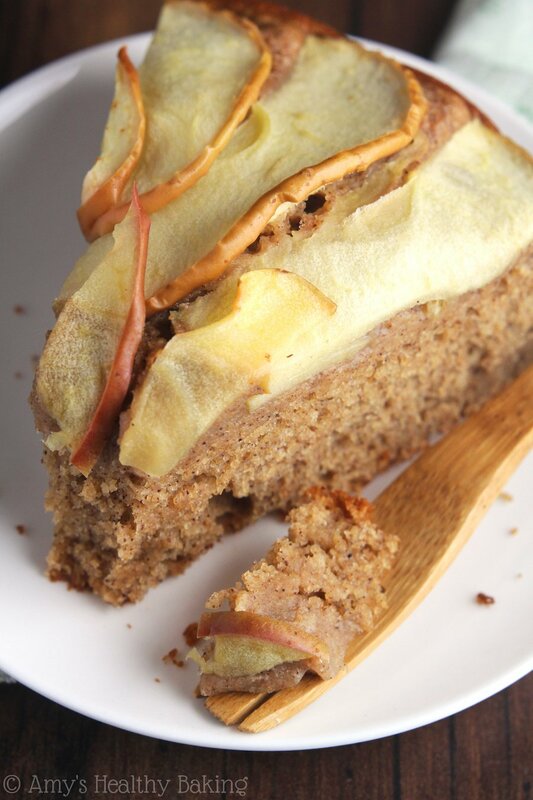 But then again, you can never go wrong with a slice of guilt-free cake! 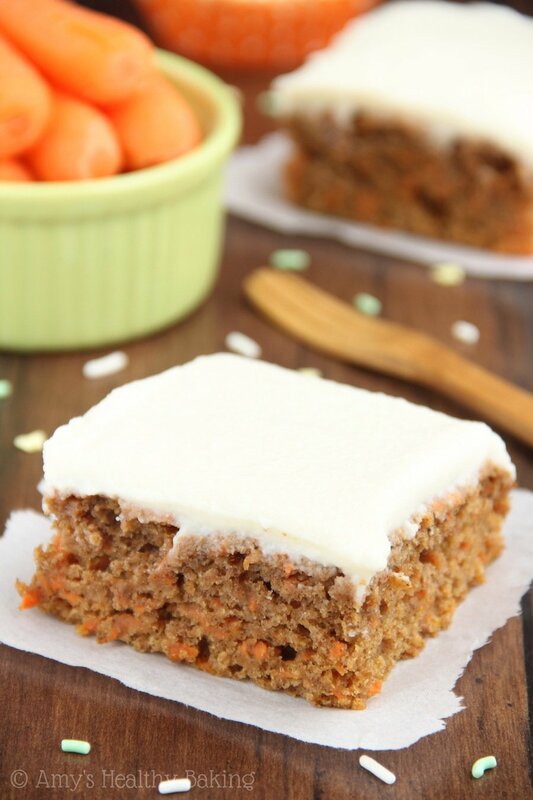 This tender cake is bursting with bright sunshiny flavor! 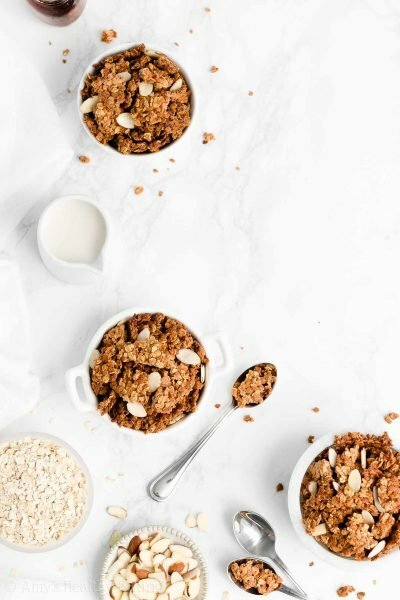 It’s a wonderful dessert to serve to company, and it’s basically healthy enough for breakfast, too. Leftovers will keep for at least four days if stored in an airtight container or tightly wrapped in plastic wrap in the refrigerator. Preheat the oven to 350°F, and lightly coat a 9”-round springform pan with nonstick cooking spray. Alternatively, line a standard 9”-round cake pan with foil, and lightly coat with nonstick cooking spray. Spread the batter into the prepared pan. Bake at 350°F for 21-24 minutes or until a toothpick inserted into the center comes out clean and the center feels firm to the touch. Cool in the pan for 10 minutes before transferring to a wire rack to cool completely. 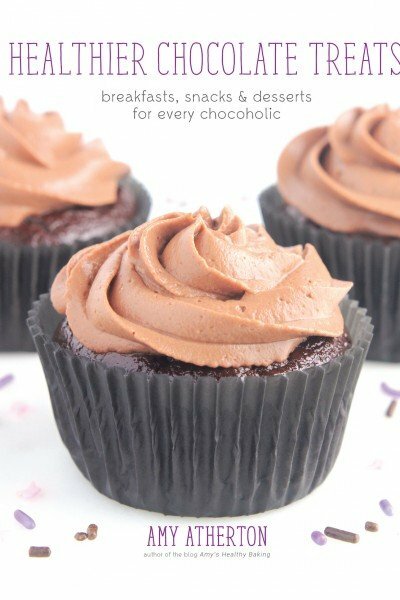 Just before serving, prepare the drizzle by stirring together the stevia and milk in a small bowl. Transfer the glaze to a zip-topped bag, cut off a tiny corner, and drizzle on top of the individual slices of cake. 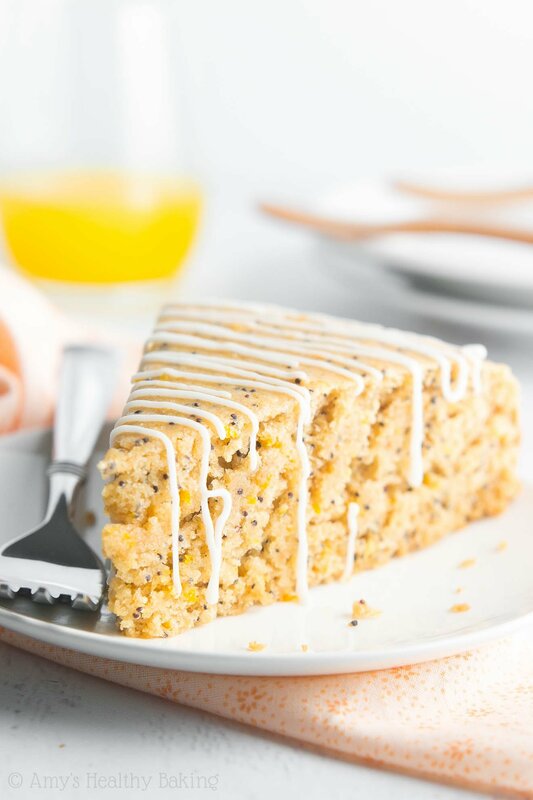 Notes: As written, this cake isn’t very sweet—closer to that of a snack or breakfast-style cake. For a sweeter dessert, serve with additional drizzle or vanilla ice cream. Alternatively, you can try substituting extra honey for some of the milk, but I’m not sure whether the baking time will change. 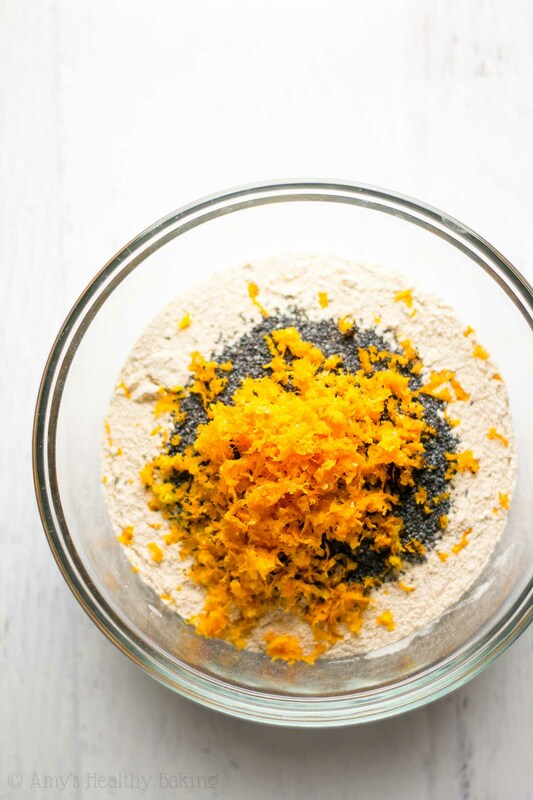 For the gluten-free flour blend, use the following: 1 cup (120g) millet flour, ½ cup (60g) tapioca flour, ½ cup (60g) brown rice flour, and 1 ½ teaspoons xanthan gum. White whole wheat flour, regular whole wheat flour, or all-purpose flour may be substituted for the whole wheat pastry flour. 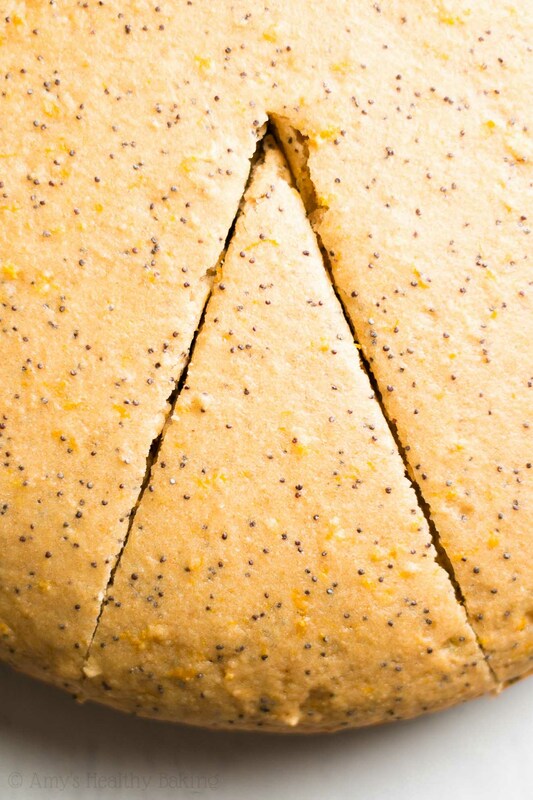 Do not substitute chia seeds for the poppy seeds. 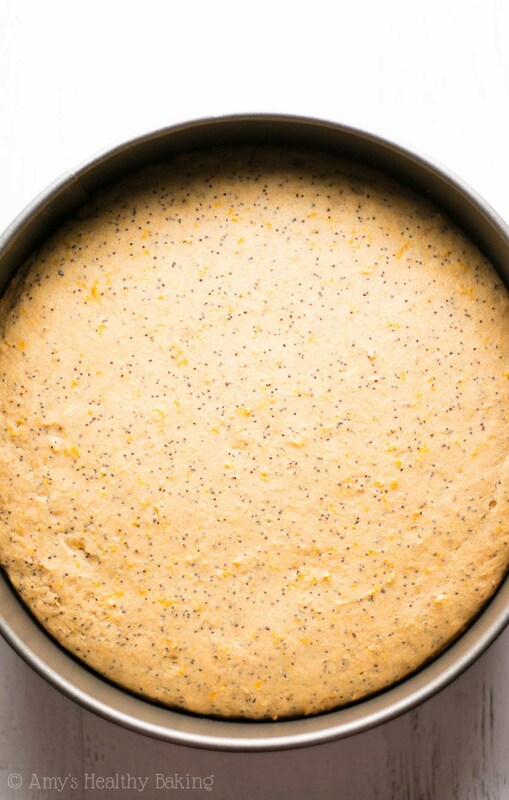 Chia seeds are much more absorbent and would dry out the cake. Agave may be substituted in place of the honey. Alternatively, ⅓ cup (71g) brown sugar plus an additional 3 tablespoons (45mL) of milk may be substituted instead. Do not substitute pure maple syrup because its flavor would overwhelm the bright citrus taste. Regular powdered sugar may be substituted for the confectioners’ style stevia. Hello! May I know why you leave out the egg yolks? And what if I want to add them, will the recipe need to change? 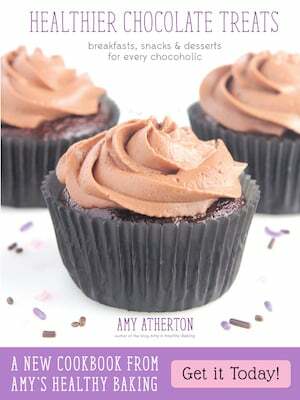 I really appreciate your interest in my recipe Aarti! Since certain family members have high cholesterol, I try to minimize the amount of egg yolks that I use so they’re able to enjoy more of my homemade goodies. If you prefer to use 2 whole eggs in this recipe, that’s fine! Your cake may require an extra couple of minutes to bake, but the flavor and texture will remain the same. 🙂 I can’t wait to hear what you think of it!